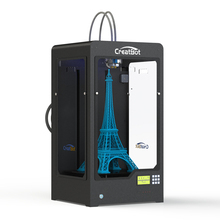 2.Large Build size: Build size is up to 600*600*600 mm (L/W/H), far more than other available 3D printer in the worldwide market. 3.Thermostat: With insulating cover for constant temperature printing space, preventing edge warping and deformation while large prototype printing. and the cover is easily removed. The max temperature can reach 400 degree. 4.Durable Nozzle: The extruder made by special materials and used advanced design technology, which is more stable and longer life. And can make 2 colors printing. 5.Monocrystal Heated bed: Our 3d printer is used monocrystal material as the print bed, which can prevent the glass board be scraped, and confrim the model effect. What’s more, our bed can be heated, the max temperature is about 120 degree. 6.High precision: Imported bearing and rail, all parts made by CNC, accuracy of X, Y is up to 0.0127 mm, Z to 0.00125mm, and the minimum layer is only 0.02 mm. 7.Accuracy Feeder: Exclusively designed filament feeder, and using professional precision gear motor can ensure feed filament accurately. 8.High Speed: highest speed printer in the market, travel speed is up to 200mm/sec, and print speed is up to 120mm/sec, which are more than reprap and makerbot. 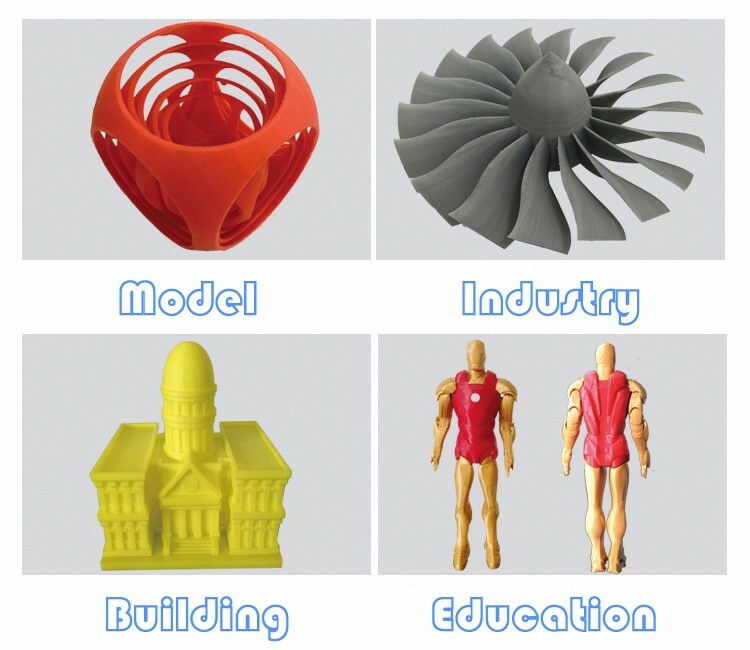 9.Various Filament: PLA, ABS, PVA, and other kind can be used. 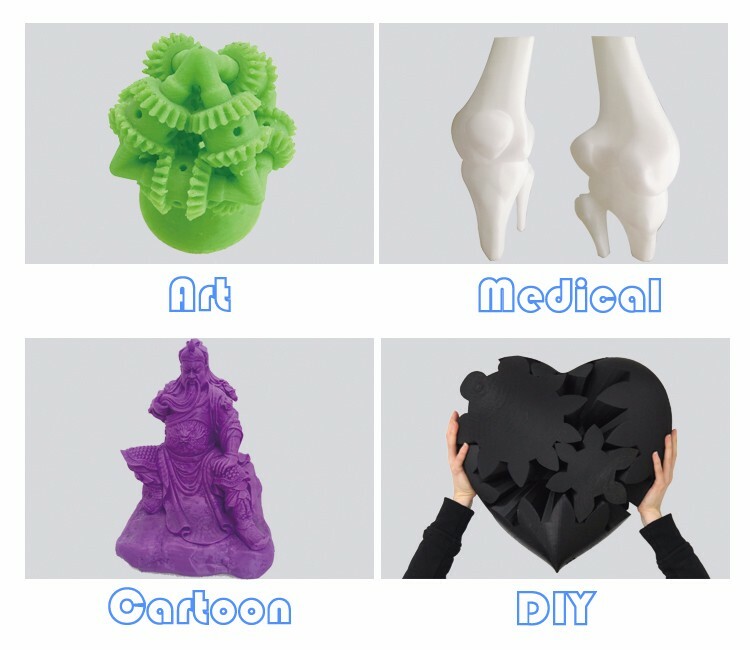 We support to use PLA, for no smell, environmental, degradable and easy to shape. 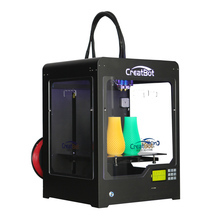 Creatbot 3d printer can be used in the different areas, such as Industry, architecture Design, Education, Medical industry, cultural relic, food industry, accessories, etc. Our machine are packed by wood box, thick foam,which can protect Creatbot 3d printer in a good performance when you receive it.